I suppose the first thing I should tell you is that I got slapped in the face with a bus door. G Street Rockville is two buses and a train ride away from campus and I got slapped in the face in the home stretch. See, I was running to catch the bus and turned the corner to board as the driver was closing the doors. That was my introduction to Rockville. Charmed, I was! Then I got lost in a sea of strip malls on the .7-mile hike from bus stop to store. I like to pretend that it’s because I’m a New Yorker and not because I’m an idiot. Just go with it. Finally, after finding a kindly man and his dog on Hoya Street (waiting to find Saxa Road, obviously), I found G Street. Fun fact: There is a gym above G Street Fabrics but underneath its sign. Isn’t that confusing? Just for me? Awesome. 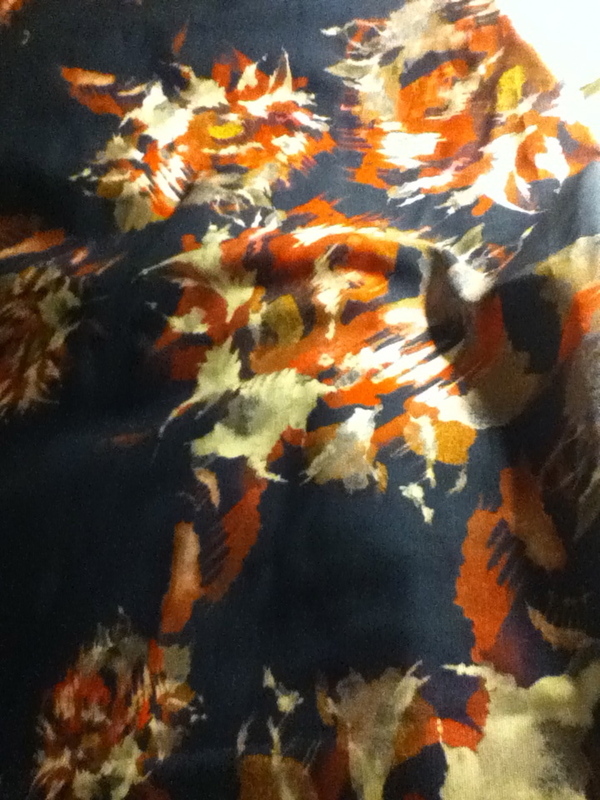 Uneven because it’s on my bed, but isn’t it pretty? I think I might be alone there. The woman who cut it out for me looked doubtful. Hell, I’m having second thoughts. It’s a heavy-ish canvas with a bit of body. 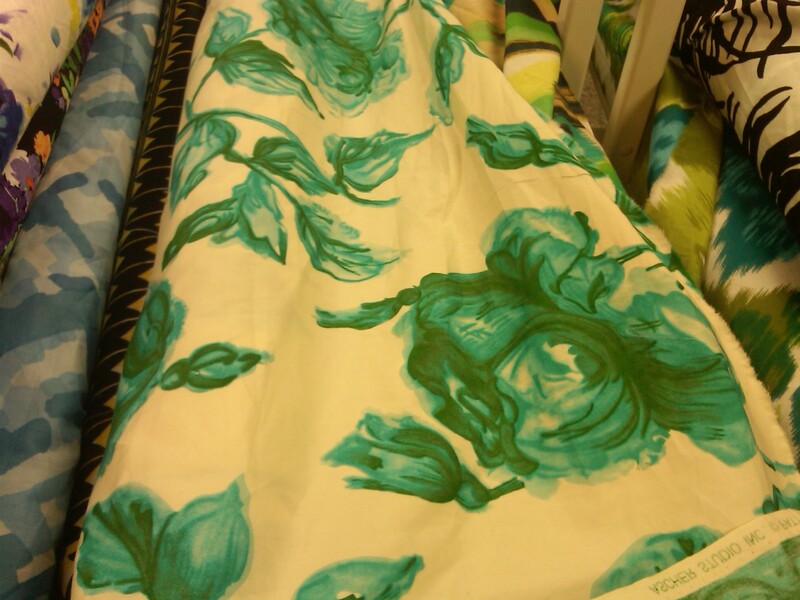 I thought it would make a nice pencil skirt, but I’m wondering if I can overcome the stiffness and whip up a pleated A-line skirt. Doubtful, but windmill tilting is the best part of being a beginner. 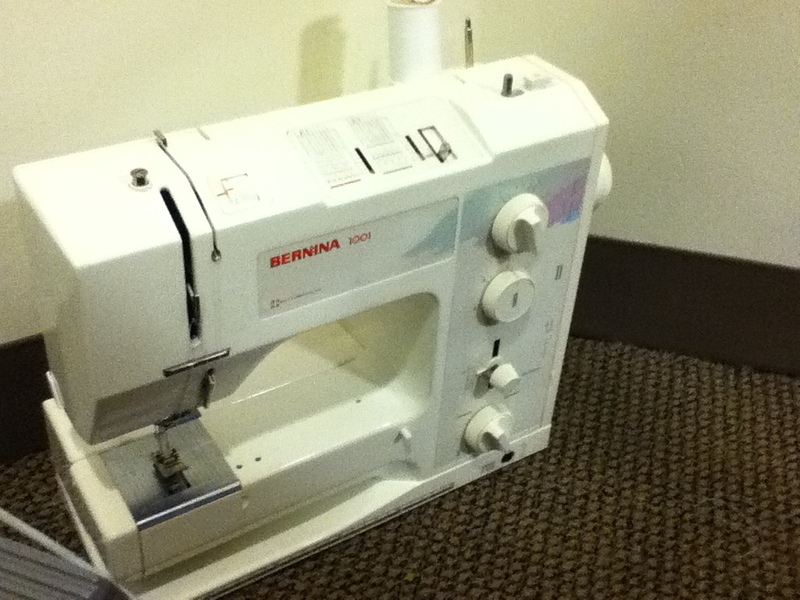 Nobody puts Bernina in a corner. Unless it’s getting late and your roommates probably need to relcaim the postage stamp-sized dining table, then maybe. The 1001 is lovely and just hums along like a dream, even though I think she’s about twenty years old. 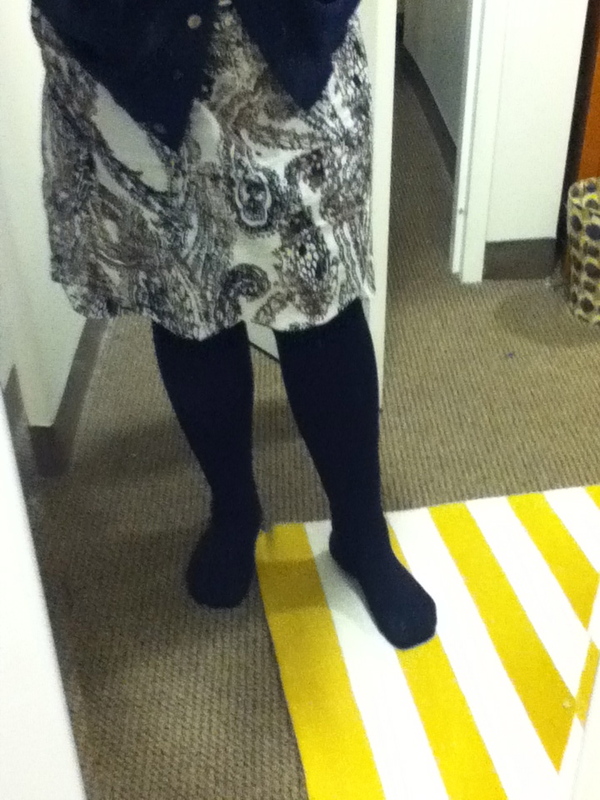 Oh, and I muslined the Colette Meringue skirt in a lovely cotton from none other than Kashi. This is an excellent picture of it, obviously. The scallops look like fangs, despite my best notchery, so I’m thinking I might follow this tutorial on my next go (which, erm, should be happening right now).